I recently found the time to get over to the Mystic Brewery Tap Room in Chelsea, MA. I had the fortune to work with Founder Bryan Greenhagen when he was in the final stages of launching the brewery, four years ago. Since that time Bryan has done an amazing job of keeping the brand simple but consistent, and evolving. While the Mystic beer is amazing, the story is engaging, and his branding through social media is a great example of perpetual promotion. The Tap Room feels like you just stepped into a well established brewery – with picnic-style tables, and a classic heavy wood bar. The taps themselves are very clean, simple pulls; surrounded by empty, brown growler bottles, boldly engraved in reverse, displaying the large white Mystic logo. The room is an extremely inviting, reserved feel, managed by open, friendly employees – all bi-products of a great vision and a simple, strong brand and product understanding. 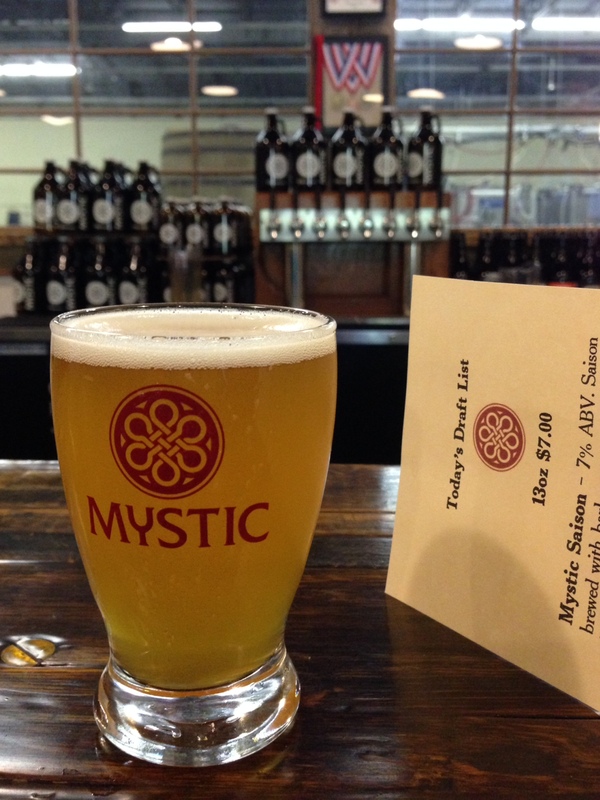 If you’re looking for a solid example of brand presence, and happen to enjoy the best of brews, Mystic Brewery is a great way to spend the afternoon. You can also see and taste the Mystic experience via your local package store – but experiencing the brewery first hand is uncommon. Congratulations to Bryan and Mystic for continuing his vision and standing out in a crowd with a great product, and continuous brand efforts. This article is so good to read. Amazing!! Thanks for sharing, can I post it on my Facebook to share to my friends?